4 Content Factors That Skyrocket SEO, Secure Clicks, and Increase Revenue. 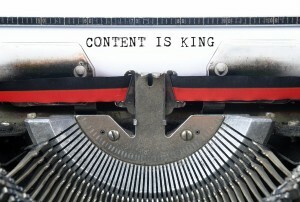 Without search engine optimization or SEO, your content is a king without a crown. Content and SEO are symbiotic marketing strategies, and both are critical to online business success. 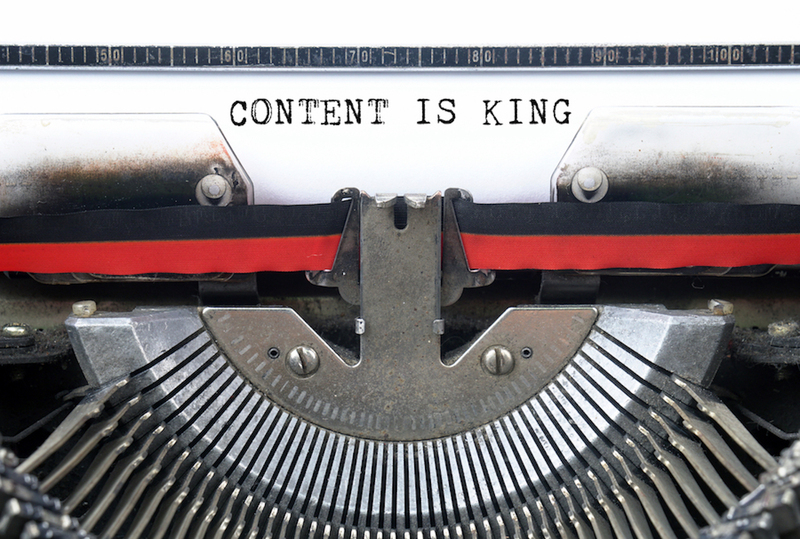 Without a content strategy, SEO is meaningless. What else could provide all those keywords? Without SEO, content carries little power to generate web traffic or drive revenue. Yes, to reach your audience you’ll need to rank on Google. Quality content will get you there. But, given the 200+ ranking factors within Google’s search algorithm, prioritizing which factors to focus on can seems like an impossible task. 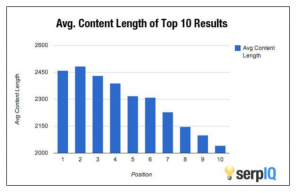 How can you effectively use content to rank for SEO? 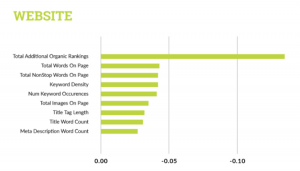 Simply address the most relevant ranking factors that relate to your content strategy. “High-quality content and link building are the two most important signals used by Google to rank your website for search,” says Andrey Lipattsev, the Senior Search Strategist at Google. Your success with search engine optimization depends largely on the quality of your content. Today we discuss the four most important ranking factors for your content strategy. Optimizing these will boost your SEO, increase site visibility, and drive engagement for greater revenue. Standout content is more likely to get picked up by reputable sources, but its primary goal is delivering value to readers. A strong link building campaign works by creating content people want and promoting it constantly. To improve your backlink quality, you can reach out to high DA partners for backlinks and eliminate any spam and low-quality links. 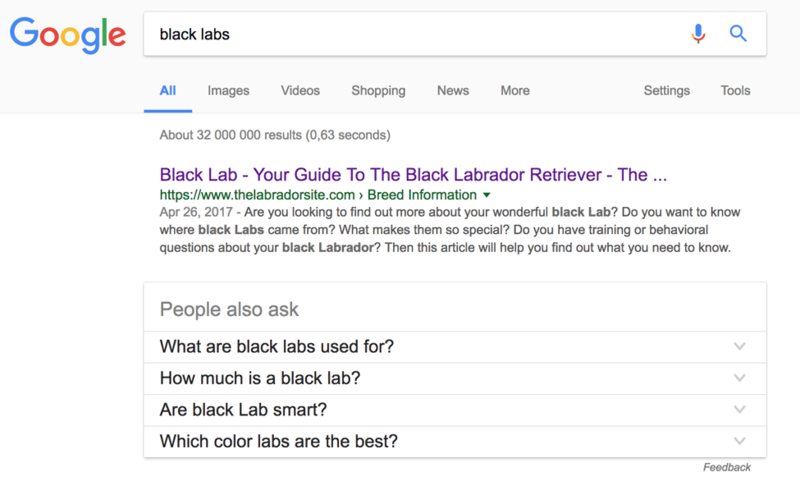 A study by SearchMetrics found that only 53% of top queries have keywords in the title tag, and only 40% of top landing pages had keywords in their H1. The study reports how in-depth and easily understood articles will outrank shorter keyword-focused content. 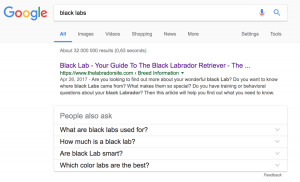 For example, this top query for “black labs” takes 2,300 words and covers breed characteristics, personality, and numerous aspects relevant to readers. To ensure your content is comprehensive, explore fewer topics in greater detail, and fix any thin content. This approach helps to focus your content on your audience, letting you speak with greater authority in your niche. For best results, create only quality content for your audience – not just keywords. 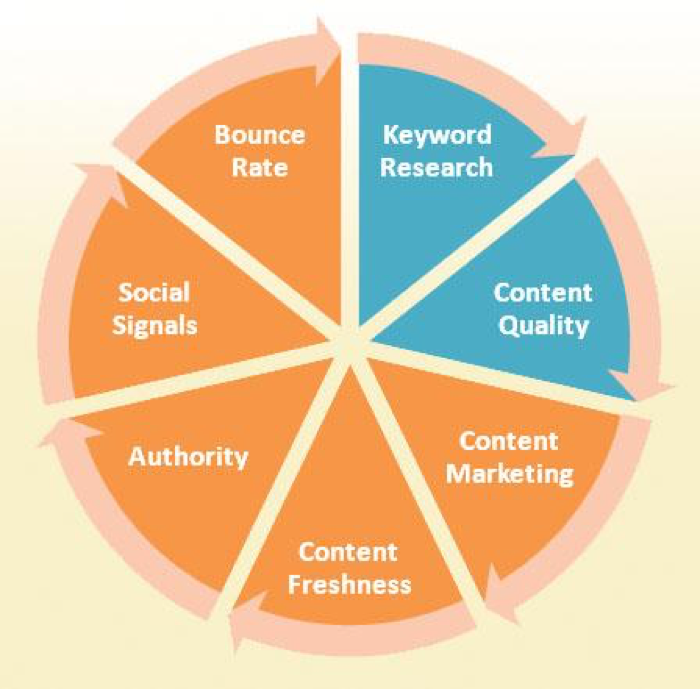 High-ranking content needs the right keywords, but using those keywords organically is increasingly important. After Google’s Penguin algorithm, there’s new emphasis upon Latent Semantic Indexing (LSI) keywords. LSI keywords account for the relationships between keywords and phrases. This means you needn’t always place the exact keyword phrases. Content that reads naturally will achieve top rank, as Google wants to surface content that’s most readable and relevant. 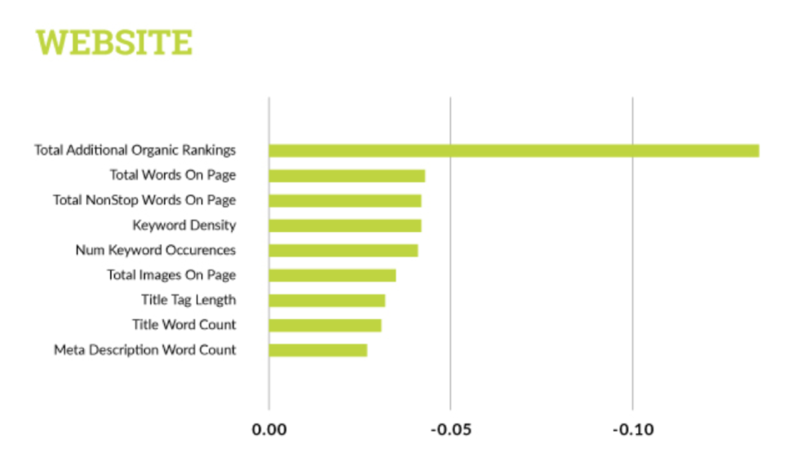 According to Forbes, a balance of 70-80% LSI keywords to 20-30% exact match keywords will work best. Aside from keyword density and frequency, the placement of keywords directly impacts how searchable your content is. The title is the strongest signal of relevance to Google, but don’t overlook your meta description. Headline tags also carry SEO weight and using the H1 HTML tag is especially effective. Google also likes to see keywords in the beginning and ending paragraph of content. Dropping keywords in all the critical places helps to indicate relevance, plus keep users engaged. Google considers the amount of content on a page indicative of overall quality, and therefore rankings. 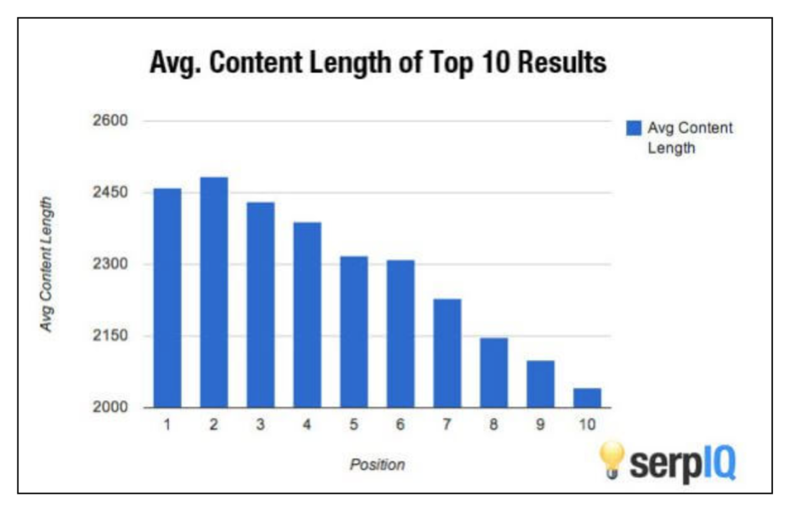 According to the search quality guidelines, “the amount of content necessary for the page to be satisfying depends on the topic and purpose of the page.” A study by serpIQ found that the average length for the top 10 results on page one of SERPs (search engine results page) was over 2,000 words. Google simply doesn’t value thin content. For best results, populate your site with in-depth content – such as intensive eBooks. Hosting lengthier content will increase your ranking but also deliver value to readers as they move down the marketing funnel. If your content strategy provides plenty of valuable resources, visitors will remain on-site and return for further value. This engagement develops trust and authority, which leads to a sale. Create Better Content. Start Now. These four ranking factors – keywords, backlinks, length, and comprehensiveness – will guide you in elevating the quality of your content. SEO-optimized content is the only way you surge to the top of Google’s SERPs. Optimizing serves a dual purpose, as it also satisfies your readers’ desires for content that provides a total solution. Whether in the form of blogs, videos, or eBooks – a stream of robust resources allows you to captivate, educate, and nurture prospects towards a sale. And the SEO rankings will follow.